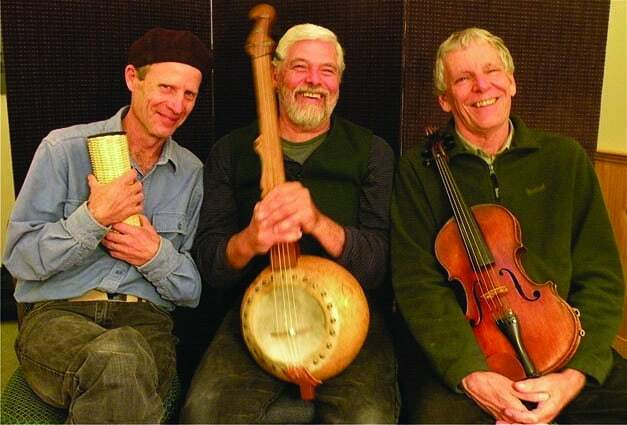 Saturday, Nov. 12 at 7:30 p.m.—BRANDON—DaddyLongLegs is the confluence of three well known Vermont musicians—Rick Ceballos, David Gusakov and Matt Witten—whose talents merge to form a dynamic and highly original trad folk trio. Hear them live at Brandon Music Saturday, Nov. 12 at 7:30 p.m. Along with interesting settings of Celtic and old-time tunes, the band also explores genres not common to the fiddle-banjo repertoire, including 1930s jazz standards, Galician airs, 16th-century dance tunes and 19th-century Americana. Playing fiddle, viola, banjo, gourd banjo, piano, guitar, percussion and vocals, DaddyLongLegs creates vibrant, sensitive and surprising 21st century folk music. Concert tickets are $20. A pre-concert dinner is available for $25. Reservations are recommended for the show and required for dinner. Venue is BYOB. Call 802-247-4295 or email info@brandon-music.net for reservations or for more information. Brandon Music is located at 62 Country Club Road, Brandon. Visit brandon-music.net.